EBENEZER PRESCOTT is of the sixth generation from John Prescott, who emigrated from England in 1640, and came to Boston and Watertown. His grandfather, Ebenezer Prescott, was a soldier of the Revolutionary war, and died in the service. His father, Fortunatns, born at Warwick in 1761, married Phebe Bartlett, of Northampton, Jan. 30, 1783. She was born in 1762, and died March 17, 1850, after a residence in Troy of nearly sixty years. Fortunatus Prescott was a blacksmith, and had a large shop with a trip-hammer, — a rare labor- saving machine in those days. He served in the Revolutionary army; was at the battle of Bunker Hill, and was a sergeant in Gen. Stark's body-guard at the battle of Bennington. In 1792 he removed from Northampton to Troy, where he resided until his death in 1819. He left four sons and four daughters, of whom only Ebenezer survives in 1879, having been born in Northampton, Mass., July 21, 1792. His school days closed at an early age, when he went into the busy world to care for himself. Until eighteen years of age he spent his time mostly in painting, at which age he really set up business for himself as a painter and glazier, in a shop on the site of George C. Burdett's store, River Street, Troy. In 1812 he took a contract of the government to make several thousand canteens and knapsacks. The canteens were made of wood, and the knapsacks of linen duck, and painted black, with the letters U. S. on each one. After the close of the war he did the painting and glazing for the State arsenal, then being constructed. Mr. Prescott's success in business and his far-sightedness in the growth of Troy led him to engage in real estate operations. 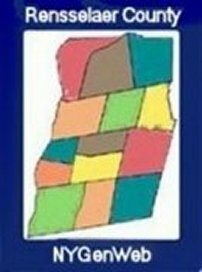 He purchased considerable land of the Patroon, Jacob D. Lansing, mostly located east of Sixth Street, and at one time owned considerable property in the vicinity of Fifth Street, north of Broadway. He laid out streets and lots, and in many cases erected buildings for the accommodation of those desiring to purchase or rent. Among the finest residences which he built was the one located on the site of the Catholic hospital, overlooking the city and river, — at the head of Fulton Street. He erected a shop for his business on the site of the Old Masonic Hall building on River Street, which was destroyed by fire in 1842. The same year he commenced, and in 1843 completed, the Old Masonic Hall building now standing, since which time his business has been mostly the care of his real estate. He has lived in Troy longer than any other person, and has watched its growth from a village of some four hundred inhabitants to its present thrift and enterprise with a population of fifty thousand, and can say, ''A part of all this I was, and am." Mr. Prescott has been a Mason for some sixty-five years. In October, 1814, he became a member of Apollo Lodge; was subsequently one of the founders of King Solomon's Lodge, of which he became Junior Warden. He was also King of Apollo Chapter. In middle life he was somewhat active in politics; was first identified with the old Federals, subsequently with the Whig, and now with the Republican party, having been a voter for sixty-five years. For six years he was the coroner of the county, two years assessor of the city, and in 1836 he was a member of the Common Council from the Third Ward. He was also a director for a few years of the Troy and Schenectady Railroad. In his boyhood he became a member of the congregation of Dr. Coe's church, — the church edifice being built in 1793, — and remembers while a boy of attending church with his mother, and carrying her foot-stove, an article of necessity at that time in winter season, as there was no stove in the church, and the minister used to wear his overcoat and striped mittens while preaching. He has continued an attendant at the same church his whole life, and contributed liberally of his means in the construction of the present church edifice. Mr. Prescott's life has been wholly devoted to business; he has been a friend to those in need, and assisting many in business, often incurring great loss to himself. He is social, manly, and possesses that force of character which commands the respect of his fellow-men, and that integrity in all his business operations and true regard for justice which gives him a place in the hearts of the people. For six years past Mr. Prescott has been afflicted with blindness, yet retaining the vigor of body and mind common to men much younger in years. Feb. 13, 1821, he married Maria, daughter of Medad Candee, of Stillwater, Saratoga Co., N. Y. She was born in Albany, June 29, 1800; is a lady of rare womanly qualities. 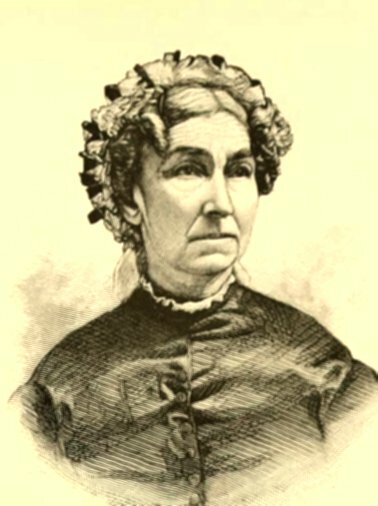 She became a member of the church at the age of fifteen, and has been constant in that connection for nearly sixty-five years: and while she had only one son upon whom to bestow her many good gifts, she has not been unmindful of others who needed a mother's watchful care, as many now respected members of society can testify. 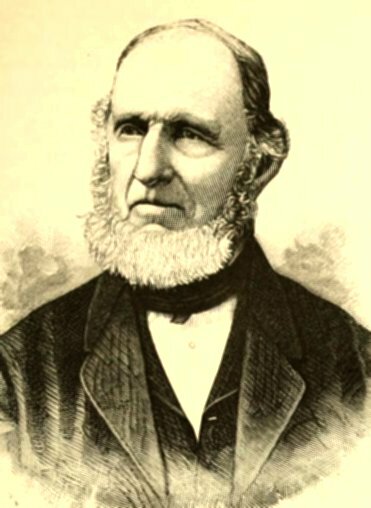 Their only son, Col. Charles L. Prescott, was born in 1821: graduated at the Rensselaer Polytechnic Institute as a civil engineer; subsequently became chief engineer at the age of twenty-seven, and had charge of a Western railroad. He died May 24, 1869, leaving a widow and four sons, viz. : Charles E. (deceased), William D., Harry L., and George R. D.
Mrs. Prescott has been found connected with nearly every good work in Troy for many years. She was one of the prime movers in founding the Orphan Asylum, and was one of the founders of the Bay Home, — an institution that has received very liberally of her time and means. Her great kindness of heart and desire to assist those in need lead her daily, although at the advanced age of seventy-nine, to visit the poor and contribute to their wants, and in this work she seems to forget self and seek only the comfort of others. Many will call her blessed when her hands cease to administer to their wants.